Serena Williams, one of the world's top tennis players, is pregnant, ABC News has confirmed. Williams sparked intense speculation about a possible pregnancy after she posted a side profile shot of herself in a yellow swimsuit with a caption that read "20 weeks" in a Snapchat posting that disappeared quickly. But not before it was screen-shot and sent around the web. Williams' rep said she is expecting a baby this fall. The athlete has clearly taken some lessons in secret-keeping from her BFF Beyonce. The superstar singer posted a photo with her baby bump on Instagram in February to announce the joyful news. Fans were shocked in December when Williams announced her engagement to Reddit co-founder Alexis Ohanian, as many didn't even know the pair were dating. She announced their impending nuptials on Reddit, and Ohanian doubled down on his Facebook page, linking to Williams' Reddit post and adding, "She said yes." CNN has reached out to reps for Williams, Ohanian and the Women's Tennis Association for comment. The possibility of a little one immediately sent Twitter into a tizzy, given that Williams' good friend Beyonce is pregnant with twins. 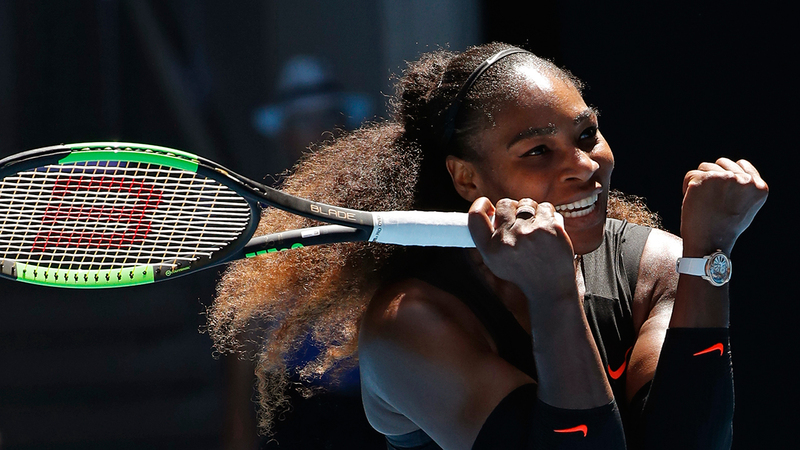 With 23 Grand Slam wins, Williams holds the record for the most by a player in the Open Era. In March, she withdrew from the BNP Paribas Open at Indian Wells, California, and the Miami Open citing a knee injury.